Coquito is a word I had never heard of before. 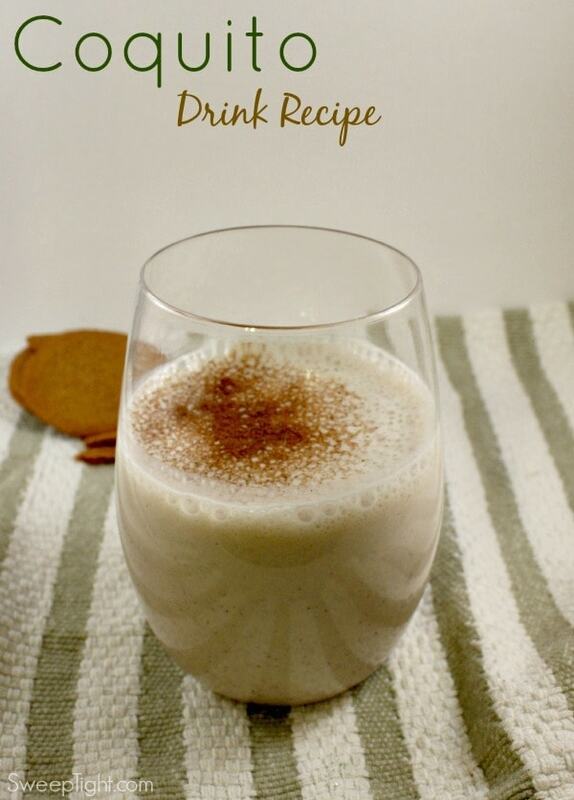 Turns out it is a delicious drink recipe that I am happy to share with you thanks to Lunchbox. This is a sponsored post but all opinions are my own. Right now Nestle and Walmart have some inviting recipes highlighted to help “Celebra Con Sabor” or Celebrate With Flavor. I had been on the hunt for new tasty drink recipes. Since I haven’t been drinking booze much anymore, I wanted to find a unique recipe that would be tasty with or without alcohol. It will be my turn to host a girls’ night in soon and I want to be prepared to impress. This coquito is right on the money. Creamy, rich, sweet, and indulgent are just a few adjectives that I would use to describe it. It’s also not a cocktail you see served at every party, so it’s a good way to mix things up a bit. This coquito recipe is super easy and only took about 5 minutes to whip up. I had all the ingredients in the house to make it in a flash. In fact, my sister has named it the “Quickie Coquito”. We both challenge you to say that fast…or at all. The drink tastes better really cold, so chill for about 30 minutes for the best results. I love the sweet, cinnamon flavor of this drink. It almost reminds me of my favorite ice cream in liquid form. Maybe we should make coquito ice cream? Whip up this tasty drink recipe in no time. 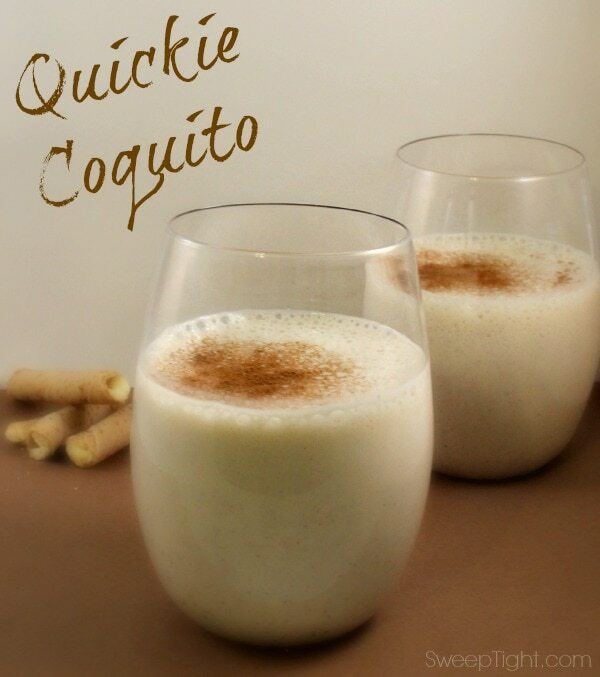 This quickie coquito is delicious with or without alcohol. Put all ingredients except optional rum into a blender. Add rum if so desired. This was exactly what I had been looking for in a drink recipe. It can be enjoyed by all, with or without the booze. Mike and I devoured ours as if they were tasty milkshakes. When I have my girlfriends over, they can spice their coquitos up with some rum if they want. Either way it’s an indulgent treat. Mike has already put in a request for me to make them again on Valentine’s day. Make sure to visit Walmart.com to see the other Celebra Con Sabor recipes that they have featured. With their easy-to-use tool you can even add the ingredients to your cart. 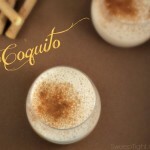 Have you ever had a coquito? What’s your favorite specialty drink recipe? 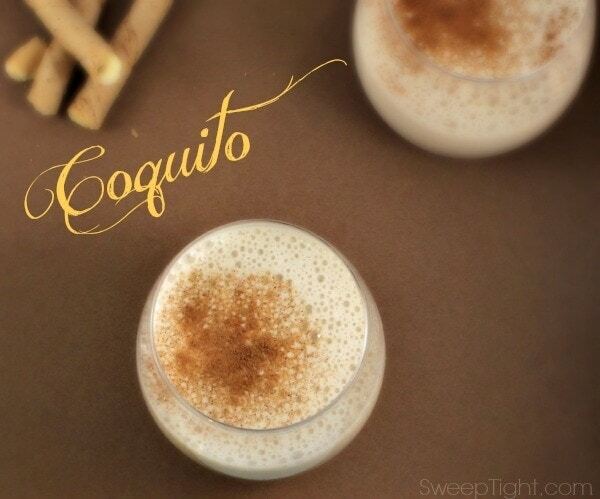 I’ve never heard of a Coquito before but I’d love to try the version with no rum. Love this. Making it this weekend!!!! this looks so smooth and delicious, I am a big fan of coconut, and I would love to make this. This sounds like a really good way to warm up. It is a tongue twister to say the name! This looks right up my alley minus the alcohol, I would so make this – thank you for sharing! yummy! I knew there was something about you I liked! LOL!! I love me a good Coquito! This sounds crazy good. Pinning it for later! This sounds soooo good! I think I am with Katy! Saving this one to make later! I must try this!!!!! So yummy, saving this! It’s a word that I have never heard before but it sounds and looks delish! This looks like something my daughter’s fiance would enjoy. He is always trying to make interesting new foods and drinks. That looks super yummy and I love that it is super quick to make. I’ve never tried this! Looks pretty good. I don’t drink alcohol, but sounds just as good without it. It really is! I certainly didn’t miss the alcohol. It’s like a yummy shake. Sound delicious, I think instead of adding rum I’d add chocolate. Thank you for sharing this recipe. I have never had a coquito, and I think my favorite specialty drink is virgin pina colada. that would be heavenly right now. WITH rum. i might actually sleep with rum in my belly! That sounds like such a delicious drink! I’ve never heard of this, but it sounds good. I think it might also go well with Irish creme.